What a land of incredible diversity. There's no way we can begin to photograph or write about all the many plants of Venezuela. 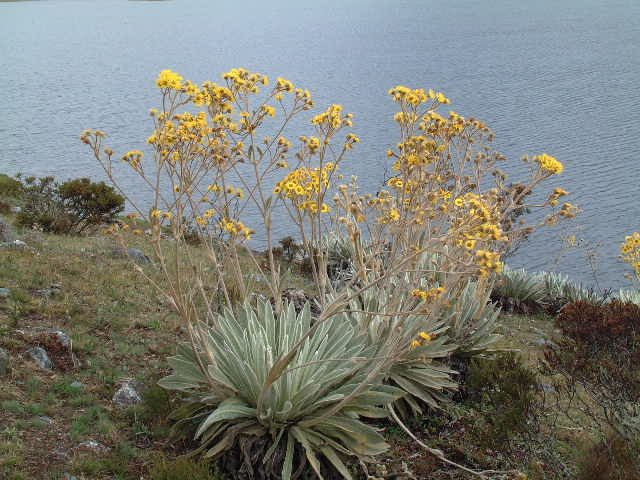 What follows are some shots of some of the plants that were either very common or just struck our fancy, mostly from the Andes. What we're missing here are photos of the plants of the very dry coast and offshore islands: prickly pear, cacti of many shapes, and thorn trees. 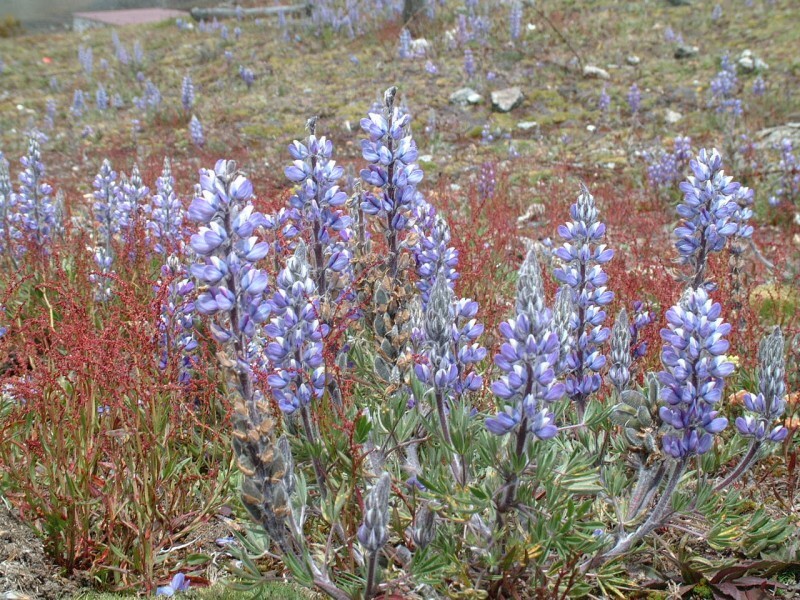 Beautiful Andean lupine added contrast to the yellow of the frailejon plants. 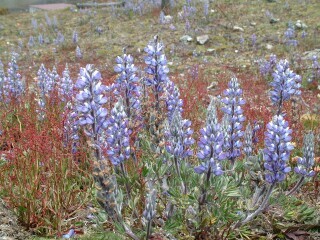 The lupine grow at lower elevation than the frailejon, but were mainly in the moister habitat of about 11,000 to 8,000 feet (2,400‑3,300m). 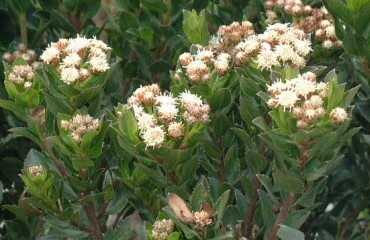 It's great to see plants that are so similar to those of North America. 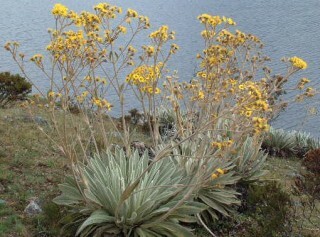 The Andean frailejon plant is native to the paramo (high plains) of Venezuela, and is found above treeline, usually about 8,000 to 13,000 feet (2,400‑4,000m) elevation. 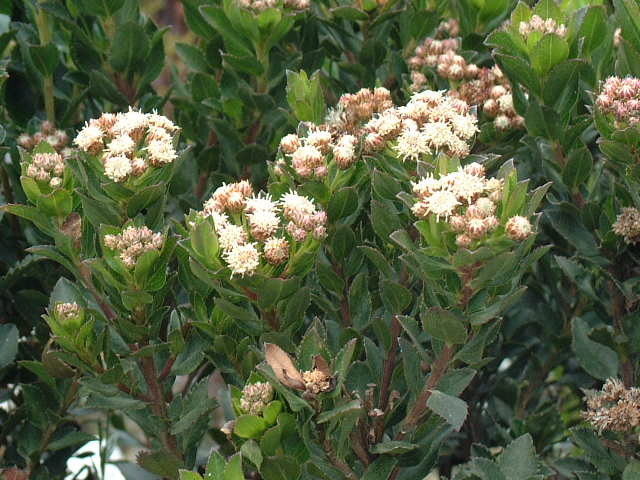 We were lucky and hit the height of its bloom in October. 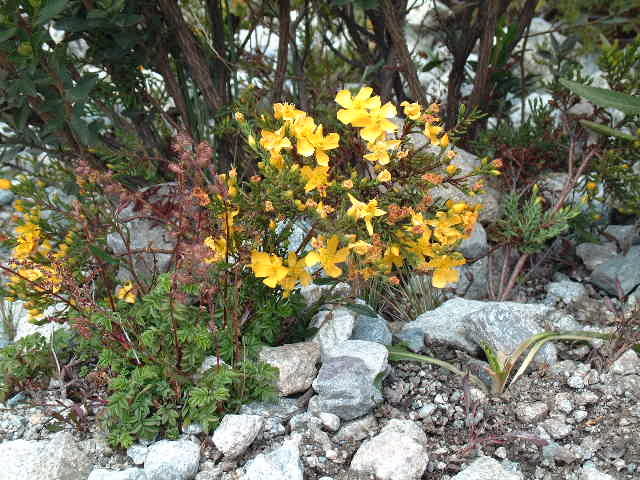 These daisy-like plants stand about 3 feet (1m) tall, and brighten the almost barren hillsides with their cheerful yellow blossoms. 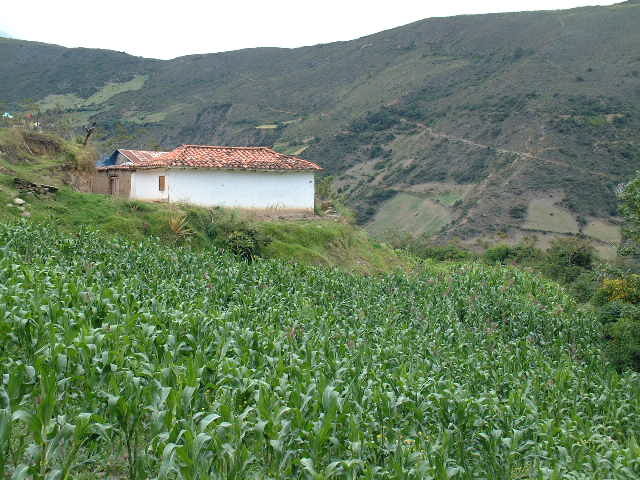 Potato fields are common along the edges of the Andean roads. 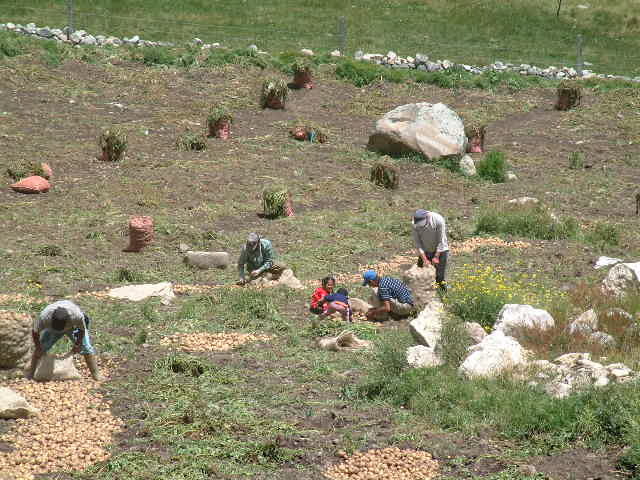 The potato originated in the Andes, but of course what is grown now is hybridized. 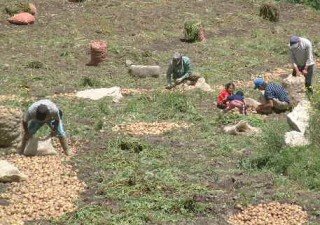 It was harvesting season when we were there in October. A taste of home. Jon picks wild Andean blackberries, called mora, along the trail near Los Nevados. YUM. They make great jam, as well. It was wonderful to pick fruit that had no more pollutants on it than the dust kicked up by passing horses. 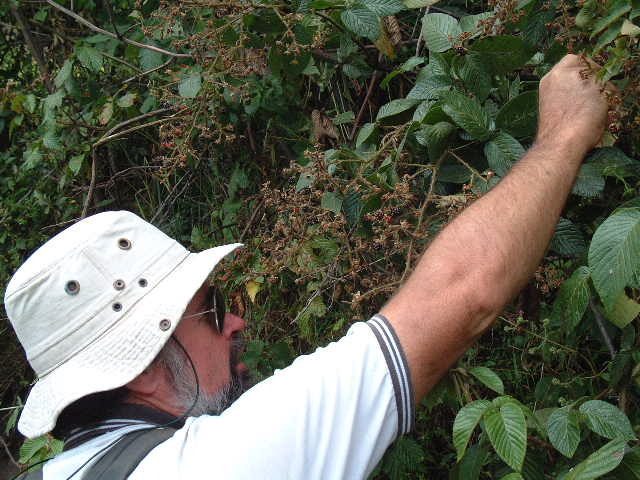 There were no roads along the trails where the moras grew. 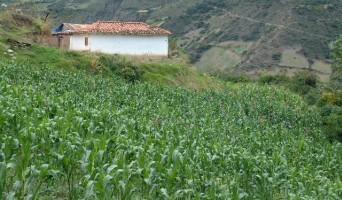 At 8,500 feet corn is one of the staples grown on the hillsides. The Venezuelan national bread is the "arepa", and it comes in several varieties. In the lowlands it's a moist sausage or flatbread made with corn and wheat flour. The inside is dug out and it's eaten filled with meats or cheeses. In the Andes, the arepas are usually made from wheat only, and are more like pita bread or a heavy toasted pancake. 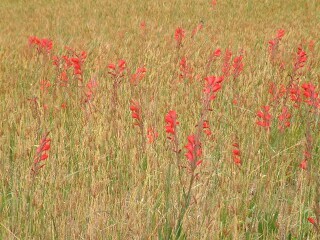 Between the blades of Andean wheat, the villagers grow red gladiolas which are sold in the markets in Mérida, 6 hours away. Back in the 1980's we saw mules carrying baskets of flowers to the teleférico to be transported to the city. Now, though, most go by jeep. 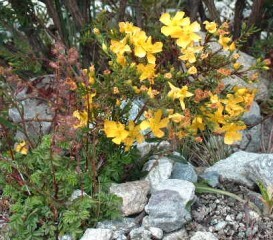 2 species of Andean wildflowers that are unknown to us. Does anyone know what these are? If so, please contact us.